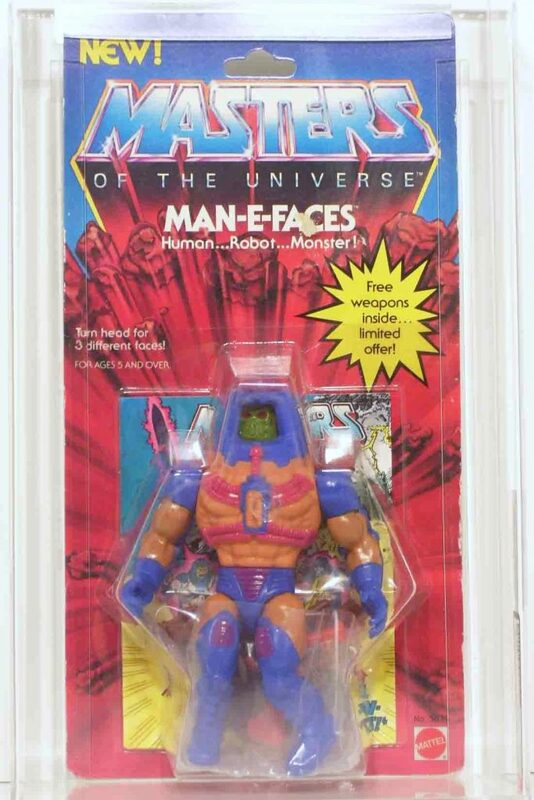 I distinctly remember when I got Man-E-Faces (along with Ram Man) as a present, probably for my birthday in 1983. There was something endlessly fascinating about his ability to change faces at will. In my mind it was his way of disguising himself. Sure, no one would be fooled given his very distinctive silhouette, but that’s how I thought of it. 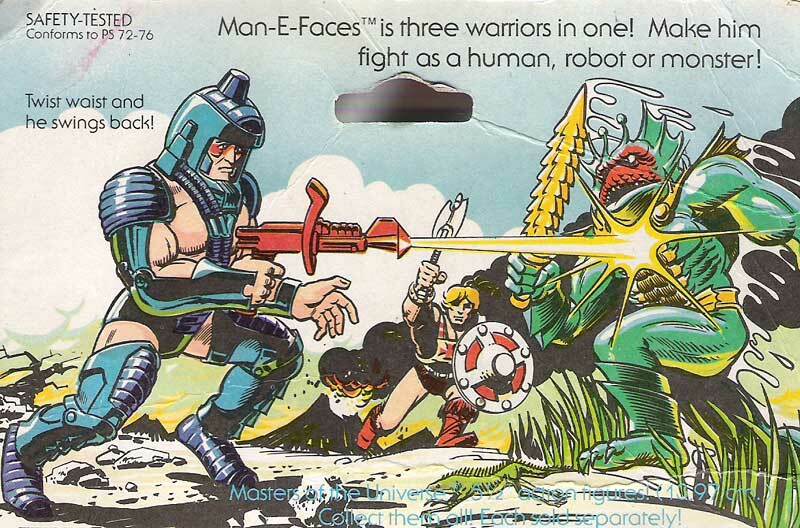 Man-E-Faces was something of a sea change for the line as it had existed in 1982. 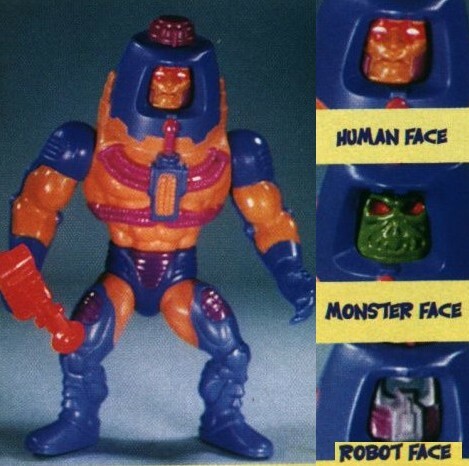 He was given all new parts (legs shared with Trap Jaw, who came out the same year) and a new gimmick – a rotating head drum that allowed you to display three distinct faces: human, robot, and monster. 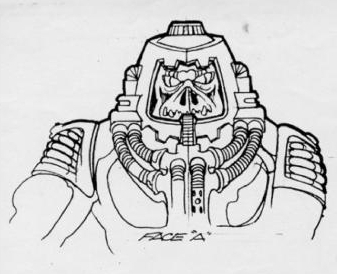 His design had more technology integrated into it than any MOTU figure that had come out before, although it was more steam punk than Star Trek. You might notice that his legs are a little too short for his body. 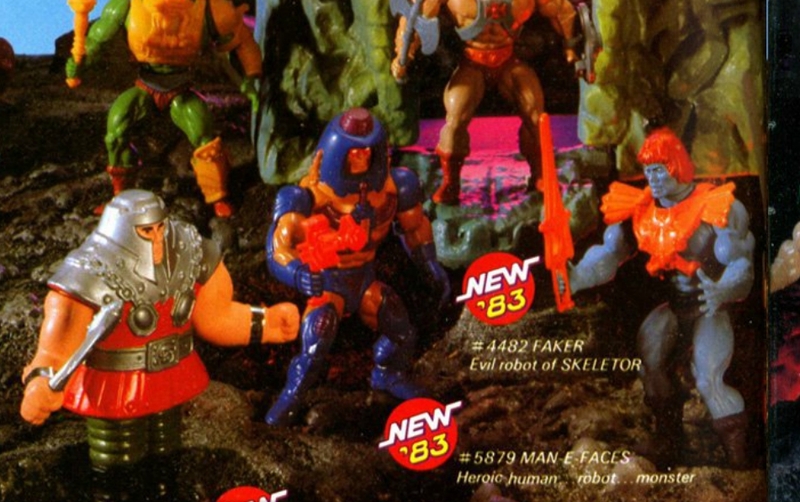 That’s probably because his rotating faces action feature gives him a rather tall torso, which may have necessitated smaller legs in order to fit into the standard MOTU packaging. 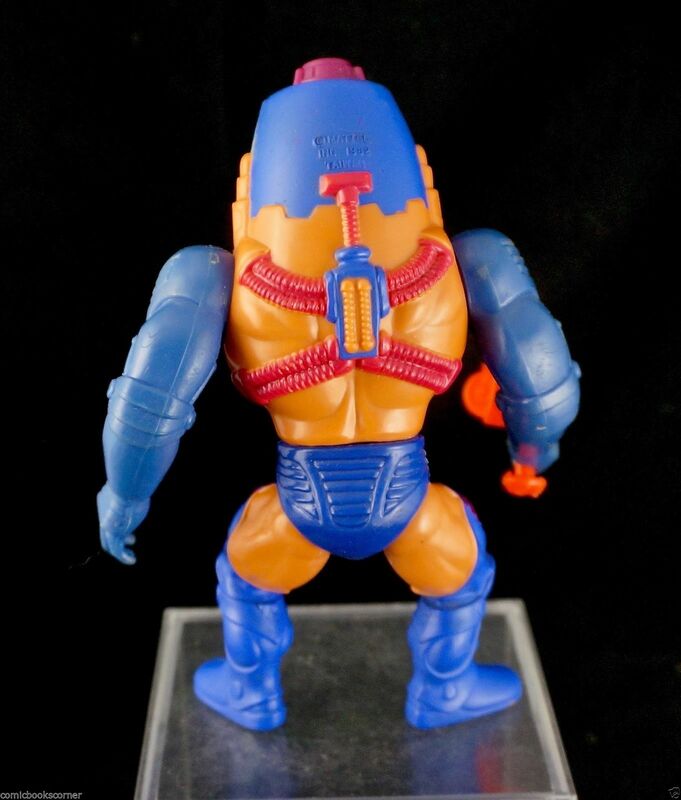 The single-carded Man-E-Faces was released in a couple of different flavors – standard, featuring his red blaster, and a deluxe version with pink chest tubes (often referred to now as Man-E-Weapons) that came with five bonus weapons from the Castle Grayskull set, but cast in maroon. 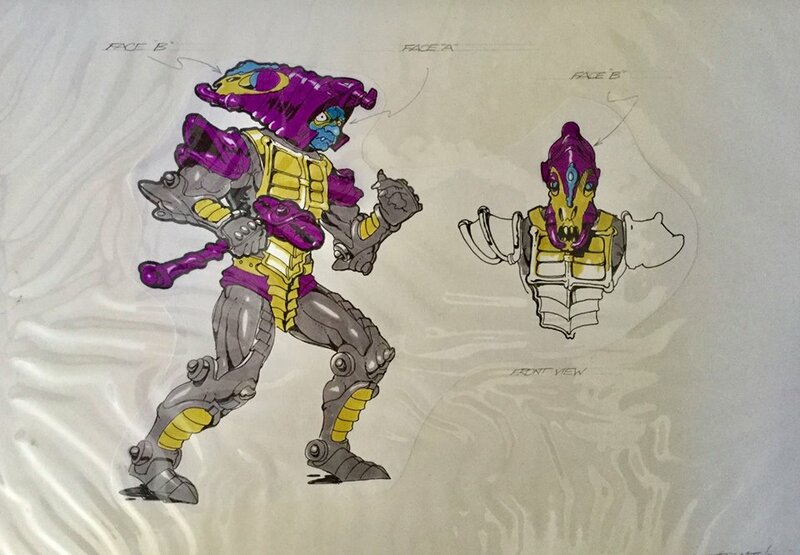 Notice that while the design details are close to the final toy, the color choices around the helmet are different. 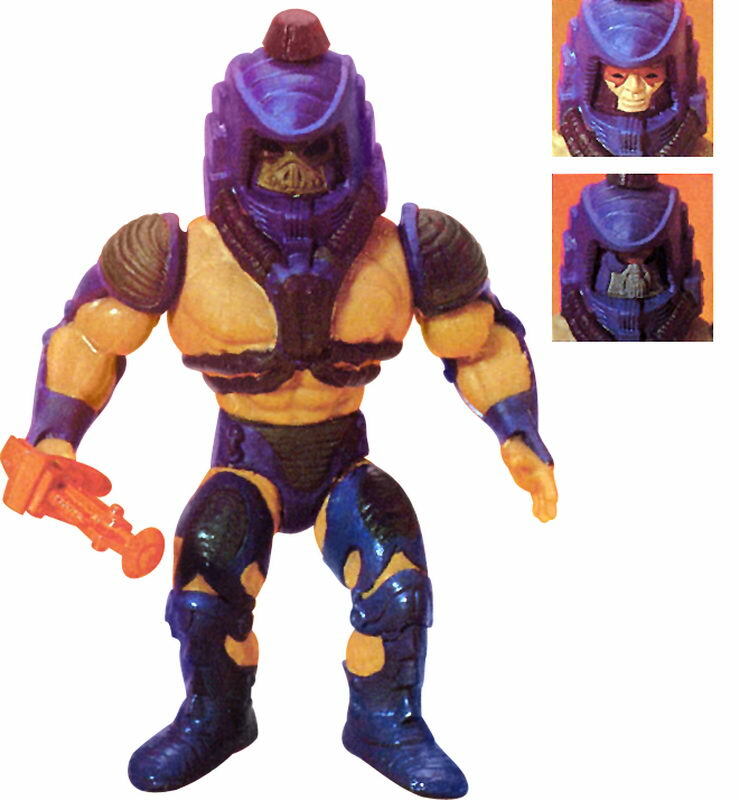 On the final toy, parts of the helmet are colored in flesh tone or orange. 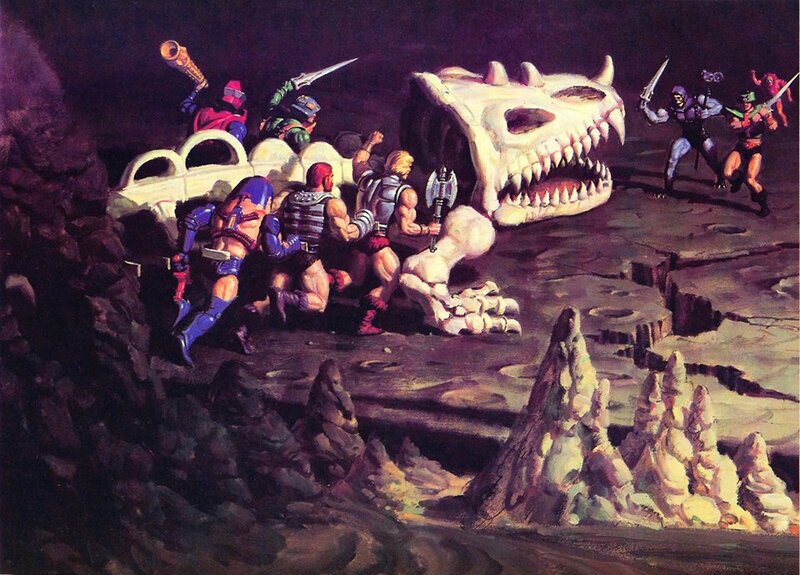 This image and the image below come from The Art of He-Man. Artwork by Mark Taylor. 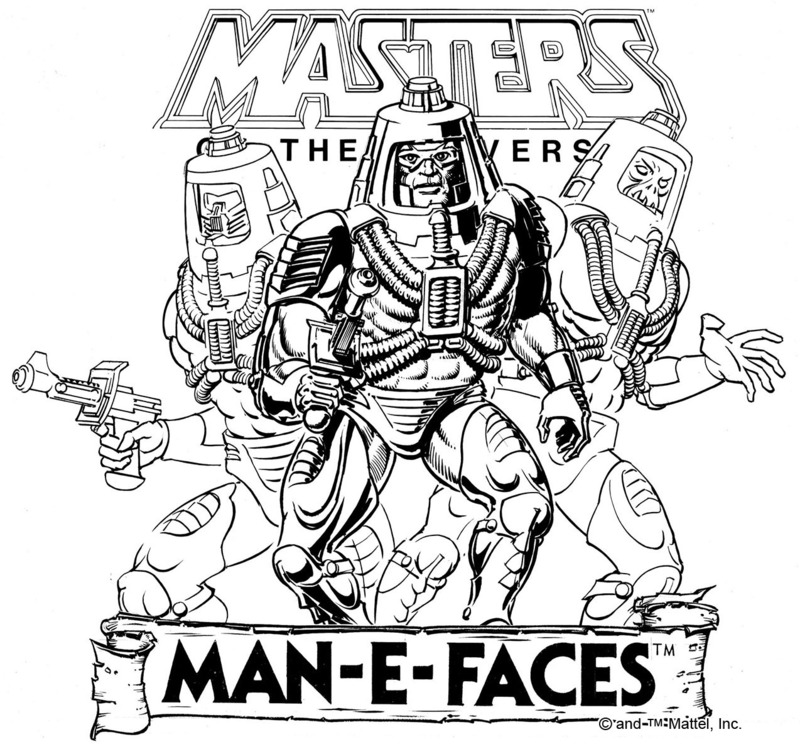 Man-E-Faces was packaged with his own mini comic (drawn by Mark Texeira), called The Ordeal of Man-E-Faces. 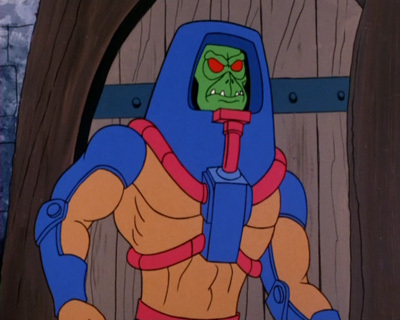 He was depicted as an Eternian actor who was given a potion by Skeletor that would change him into a monster and bring him under Skeletor’s control. The Sorceress tries to free him from the enchantment, and in a struggle between the two powers, a third face arises – that of a neutral robot. Image source: Bustatoons. Brought to my attention by Joe Amato. 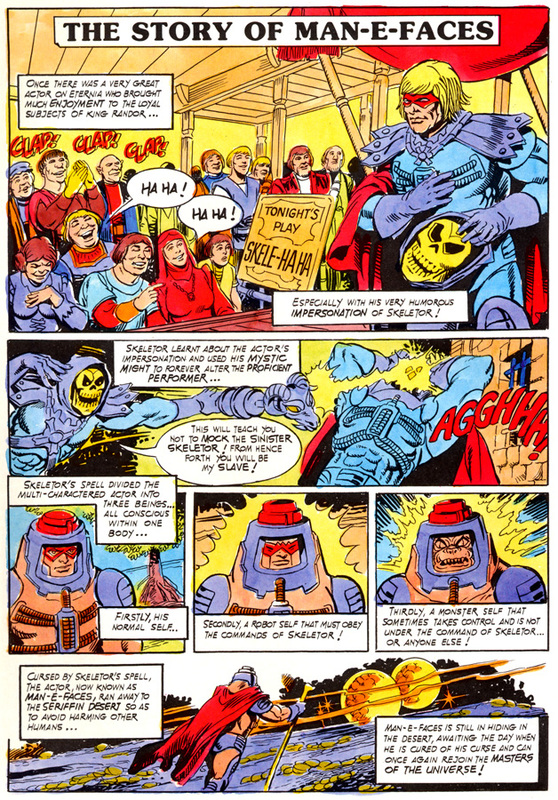 In the 1985 UK Masters of the Universe Annual, Man-E-Faces is again transformed by Skeletor, in a somewhat unsettling story about abductions and lab experiments. In his monster form he is evil, and in his robot form he may be controlled by anyone. Wow! This is a great writeup! I seem to remember that MEF was “parodied” in another advert… A cross-sell with another product, perhaps… But he was drawn differently. Thanks! Not sure what that would be, but if you ever remember what it was I’d love to see it. 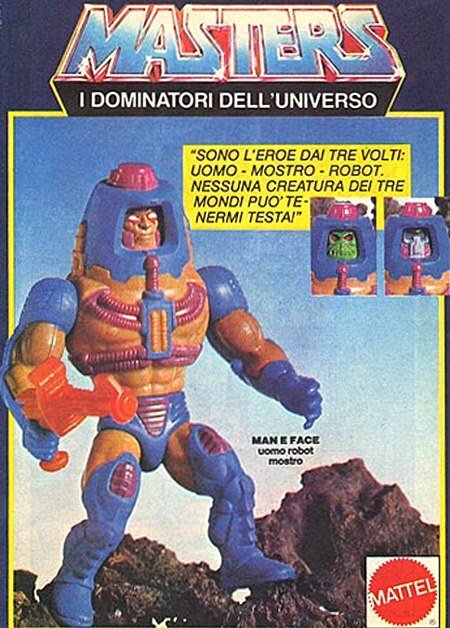 Man-E’s backstory for me never did a good job exploring his appearance. 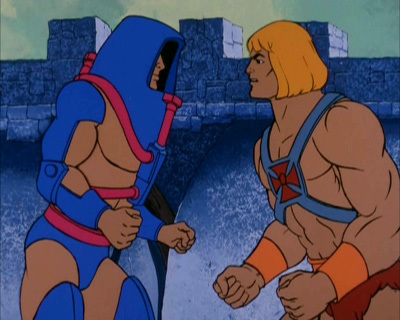 Sure, Skeletor put a curse on him that changes his demeanor, but then why does he wear all that strange equipment? 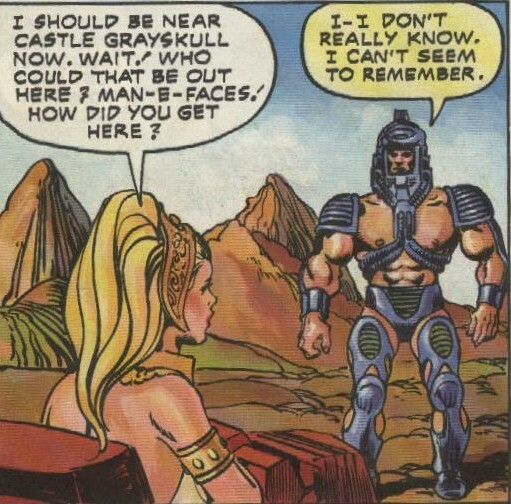 But questions like that are part of what makes MOTU so fun, because you have to come up with your own stories to fill in the blanks. 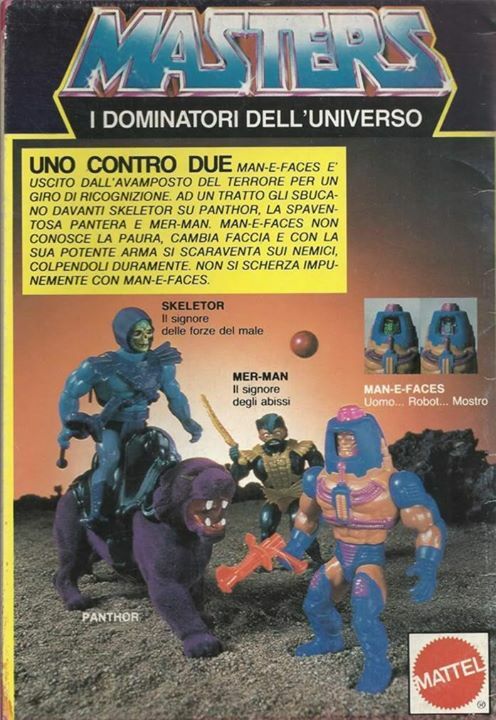 The only story that makes sense to me is MAN-E-FACES had to be the work of some evil doctor. Who try to combine a man, beast and robot. 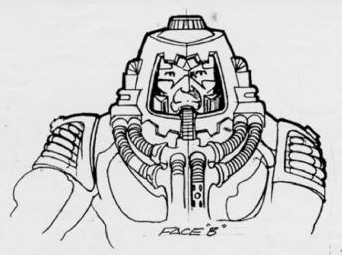 So in a way he is aN Aminal/Man Cy-borg. The only motive I can come by is he needed to have at his command a reasoning man who could get powerful like a beast, and compute like a robot if needed. 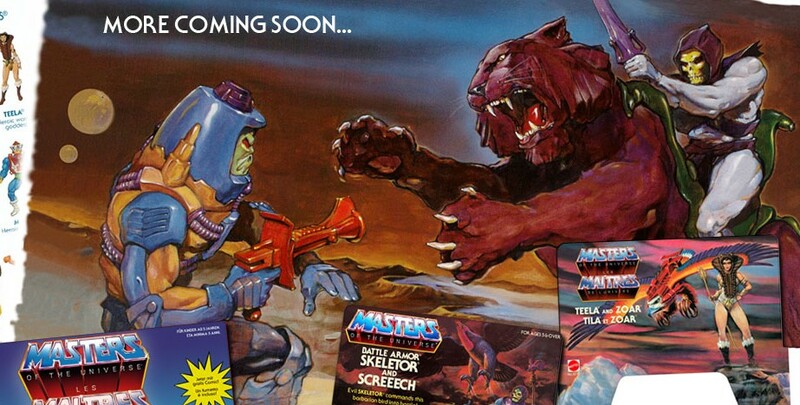 Lets say it was skeletor masterplan to create his best “right hand” since he always complain of his servants that are never up to the task. 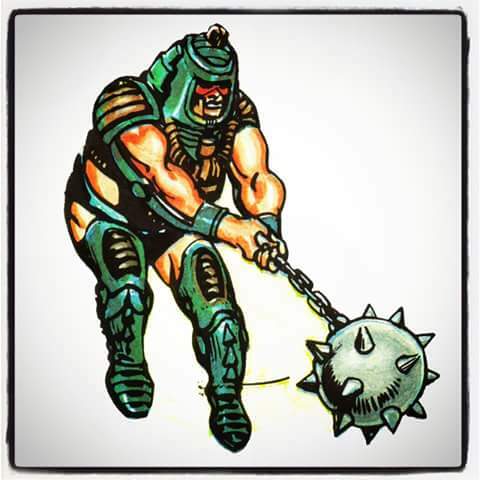 But He-Man and Mant-at-Arms help the good human of him taken control over machine and beast and know he is good and can use his others egos if need it. This has always be my canon and believe all others story I have seen in media are dumb. I always wondered what predicated the switch from caucasian flesh to orange. Having only seen the cross sell art, I was pretty surprised when I saw the figure in the store for the first time. 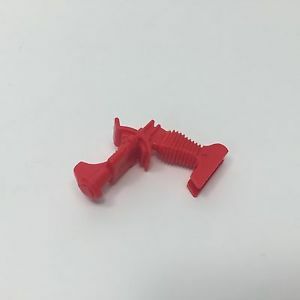 I remember flipping through the pegs to check all of them, since my first thought was that somebody make a mistake with that one, haha. They were all the same though, of course. 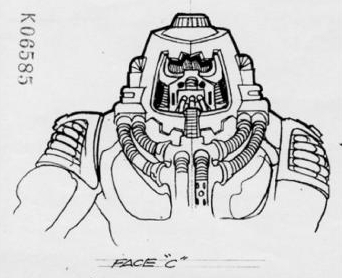 “The Ordeal of Man-E-Faces” remains one of my favorites of the minicomic line. 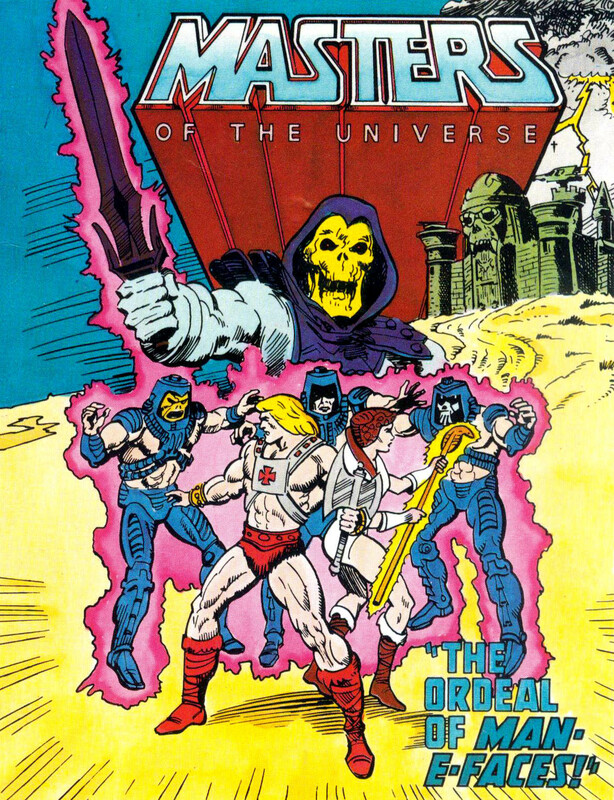 It has the darker edge typical of the early minis, which I always preferred in MOTU, and Texeira’s art is wonderful. Tex is second only to Alcala when it comes to the great artists who worked on the minicomics. 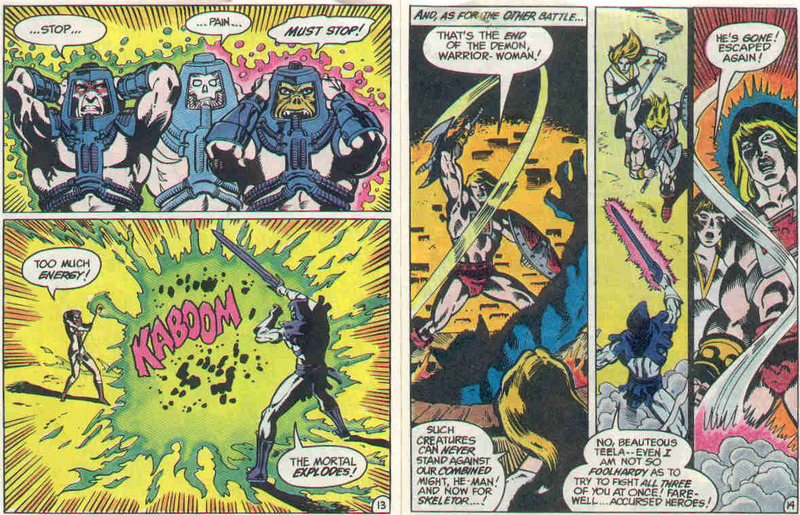 I always chuckle at Skeletor just flat-out saying he’s going to sacrifice Teela to a demon. 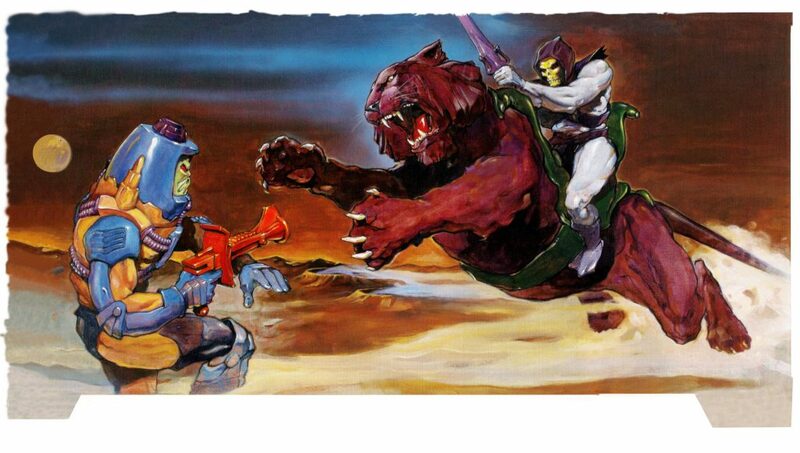 Can you imagine someone trying to have a scene like that in something aimed at children today? 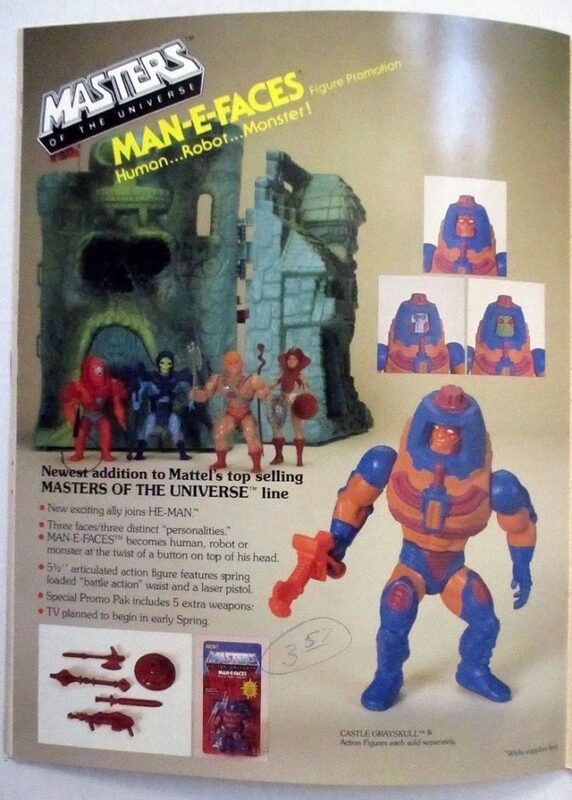 My first Masters and one of my early (if not the earliest ) memories is the packaging of Man-E-Faces. I love this character and his versatility. Aside for the wrong painted “neck”, the figure ‘s major flaw is the right hand, unable to hold his blaster. 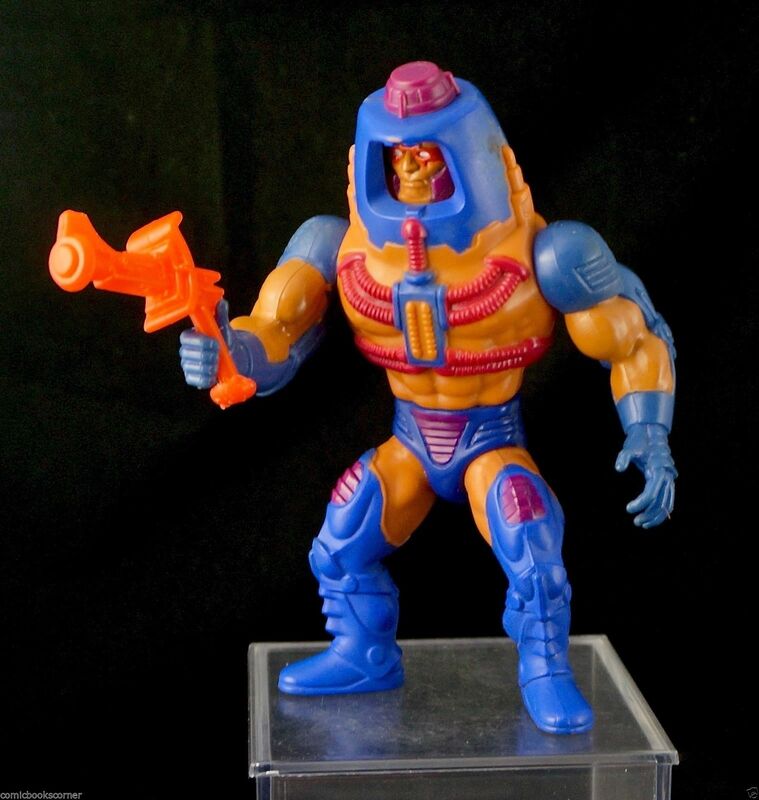 When I customized my old Man-E-Faces, I had to cut his hand off and transplant a cloned Man-At-Arms hand which is able to hold the blaster without any problem. 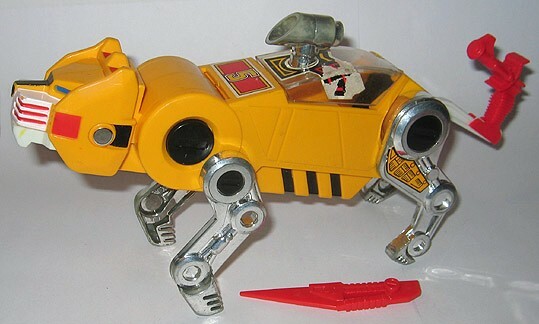 It puzzled me how they released the toy reagardles a plain problem like that. 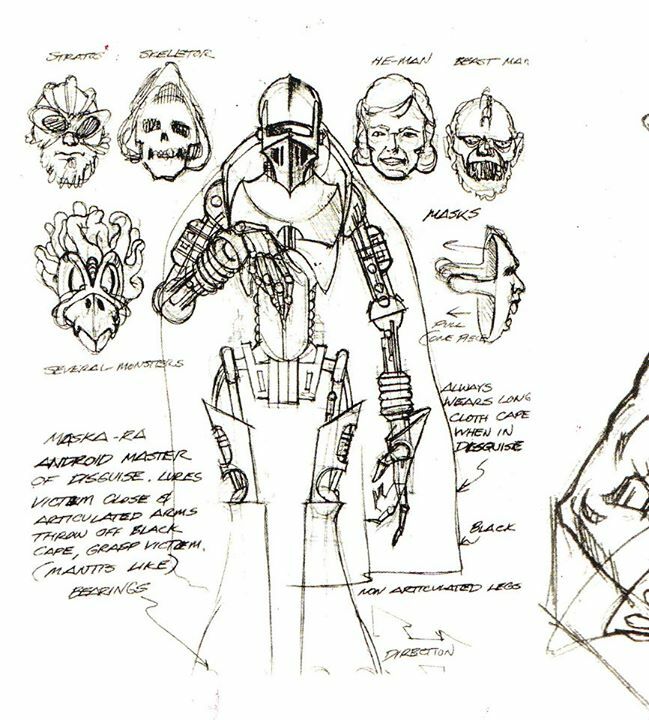 About his techological equipment, in my personal continuity are the remains of a pre-Great Wars hazmat suit that Man-E-Faces scavenged somewhere (or maybe inherited from his family) and use as armor. 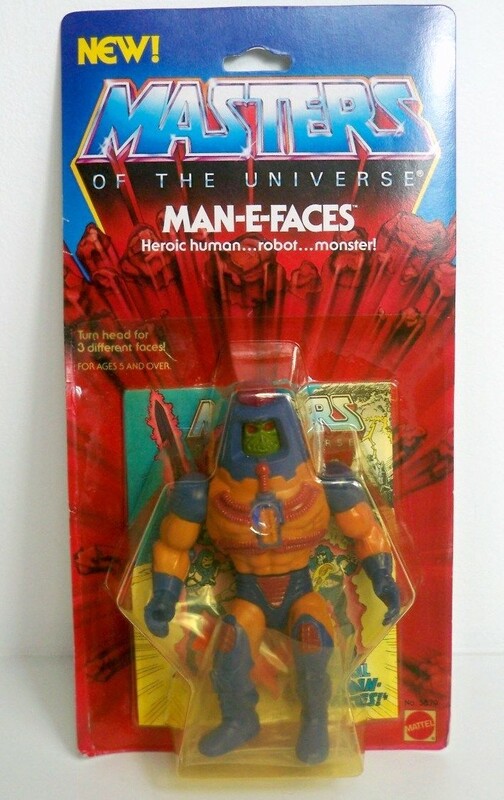 One of my favourite figures of the line, Man-E-Faces was the third MOTU figure I ever had as a boy, after He-Man and Skeletor. 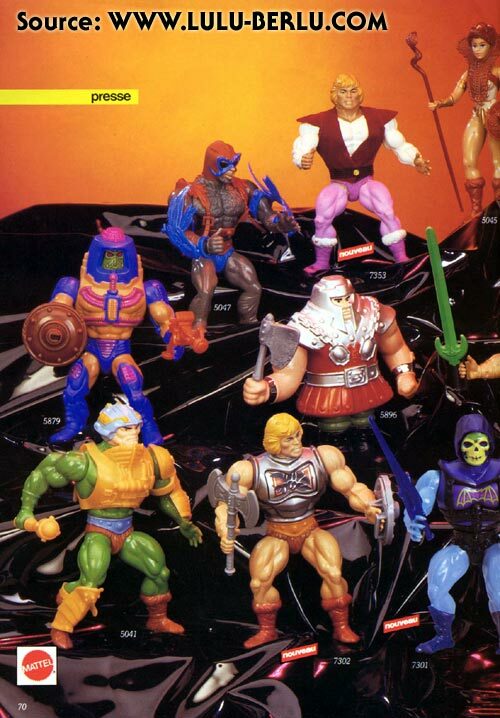 For most of my original MOTU collecting days, I would try and keep things ‘balanced’ – I would try and buy a Heroic Warrior, and then next an Evil Warrior, to keep both sides even (I was a very methodical child)! 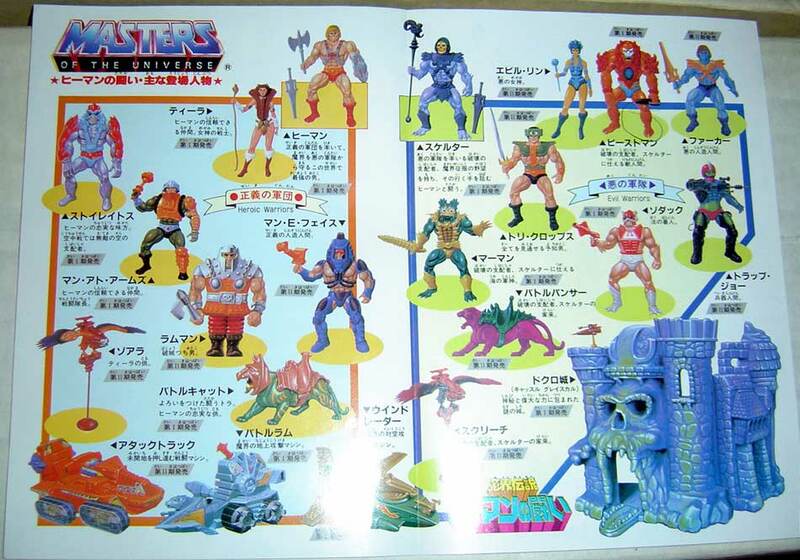 After I had He-Man and Skeletor, I can clearly remember going with my Mum into a shop one day being allowed to chose my next figure. 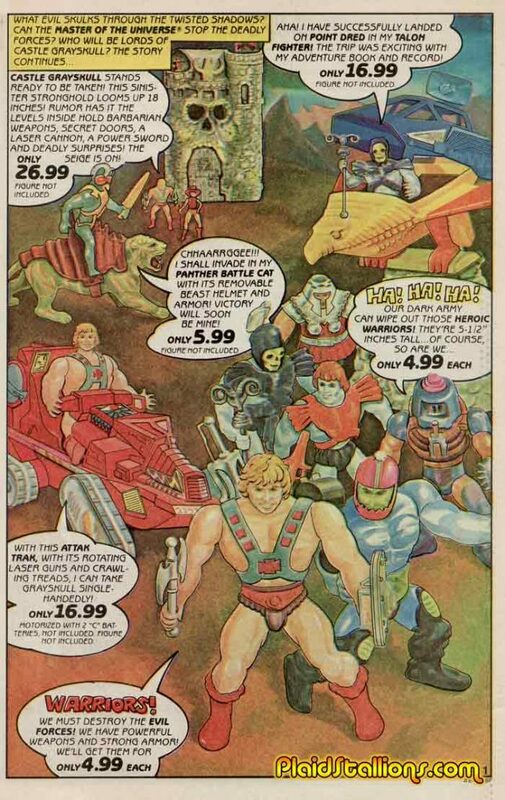 After some comedy-like shenanigans with my mother trying to ask a shop assistant if they had any He-Man toys, “but not He-Man because he’s already got He-Man, he wants a different one” (she didn’t then know they were called Masters of the Universe), the shop lady duly showed us to the relevant section. 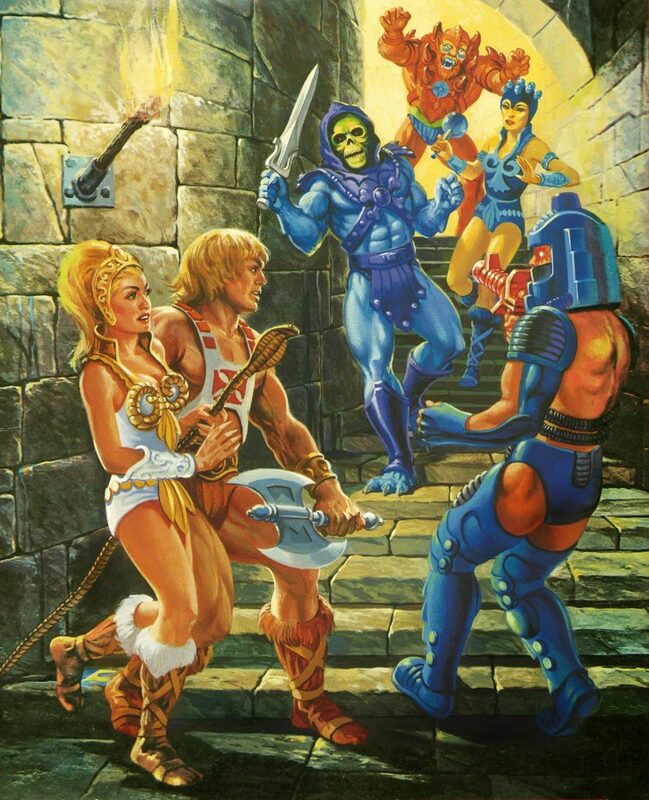 Although my He-Man and Skeletor boxes were 12-back designs so I knew of different second-wave characters, I recall the lady saying they’d just had a load of new ones in, and it was the first time I had seen (m)any second wave characters on the shelves (though here in the UK the first and second wave kinda arrived very close together). 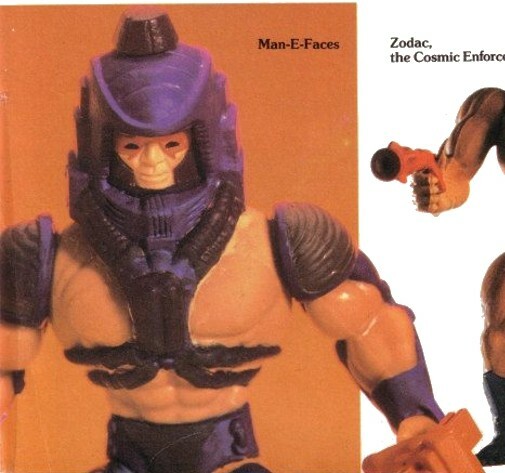 Either way, for my “keeping both sides even” collecting preference, Man-E-Faces was the perfect choice for me, as he could serve as both! 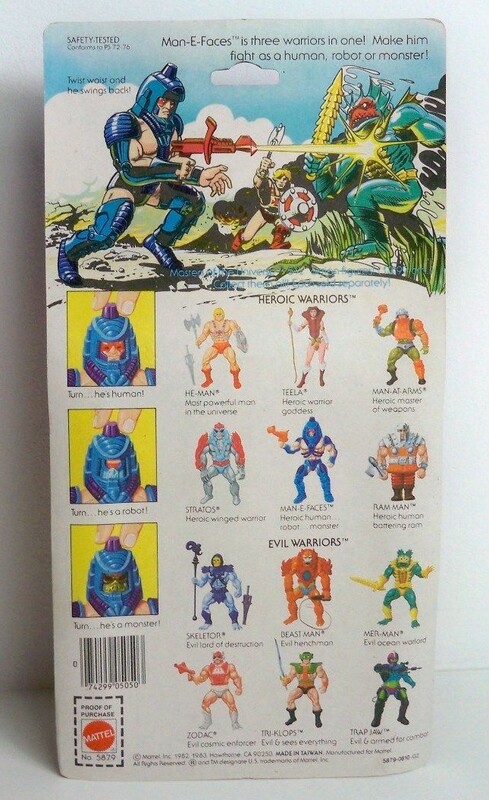 (By-the-by, my Man-E was a regular release, without the additional weapons. 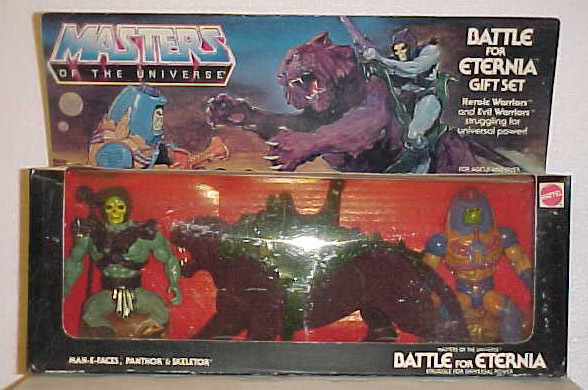 Can’t recall if I ever saw that version on the shelves here in the UK, though it maybe was, as I certainly had the glow-in-the-dark ring that came with both Tri-Klops and Trap Jaw. 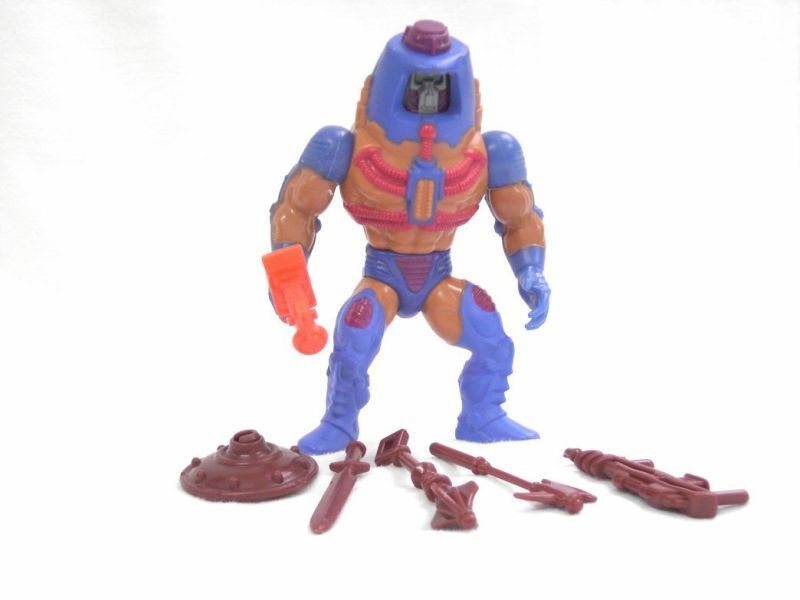 I might not have had the extra weapons, but my Man-E had a slightly wonky leg (the rubber band joints were trouble even back then), resulting in him standing with a slightly camp foot twist position. I loved him regardless). 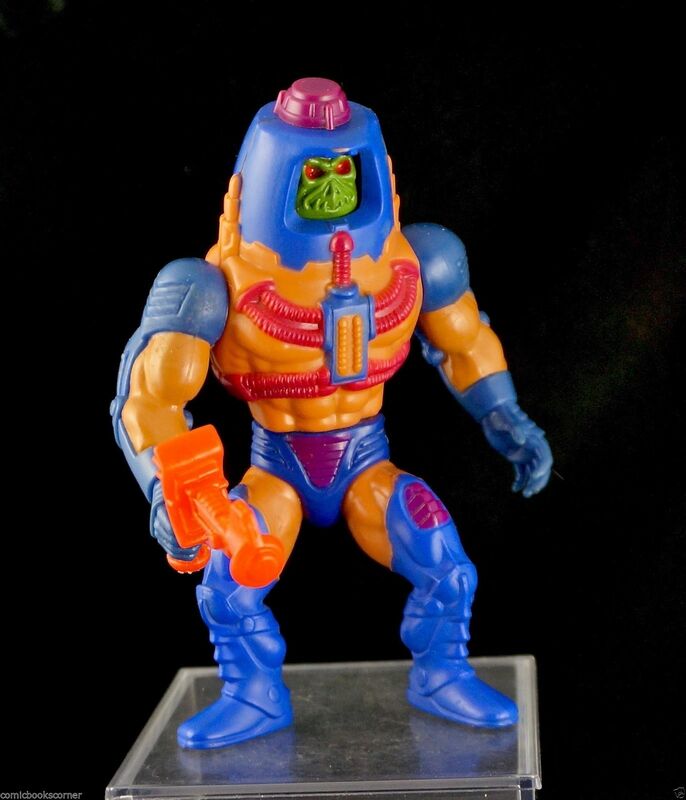 As my comments on various other figures reflect, the classic first two waves are my main love with MOTU, and indeed Man-E is one of my favourites because of that. 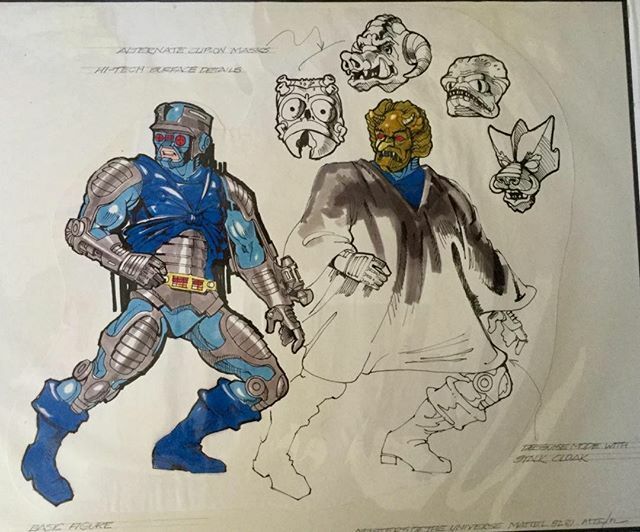 He does represent the very earliest stages of the ‘action-feature-driven’ move away from the earliest “barbarians and monsters” concept of the line, but he still fits in perfectly with the rest of the earliest (and IMO best) characters. His costume always intrigued me, it always made him look a but like a spaceman in my eyes. 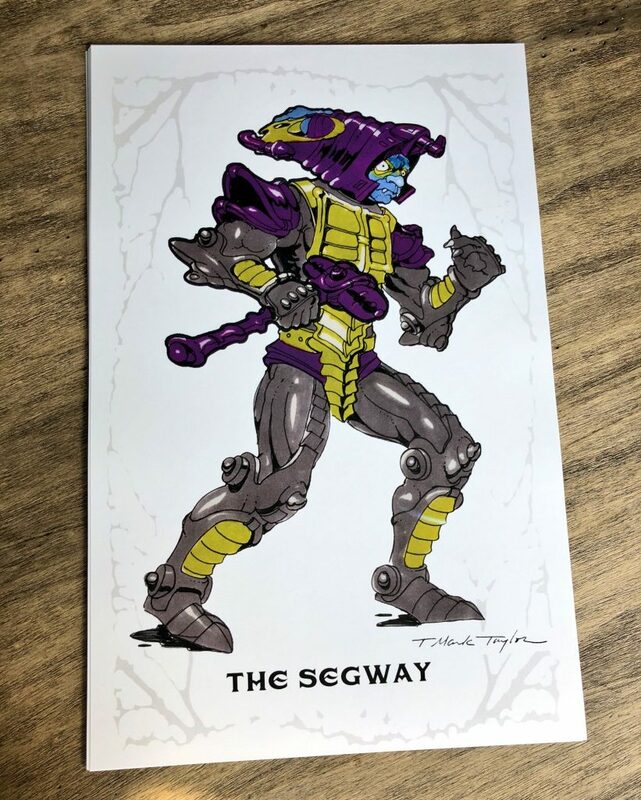 I know many character’s details were slapped on quite late on by Mattel’s marketing, and an actor was an interesting take (obviously going with his ‘different personalities’ trait), but I always wished he had some sort of space-background mentioned in there. 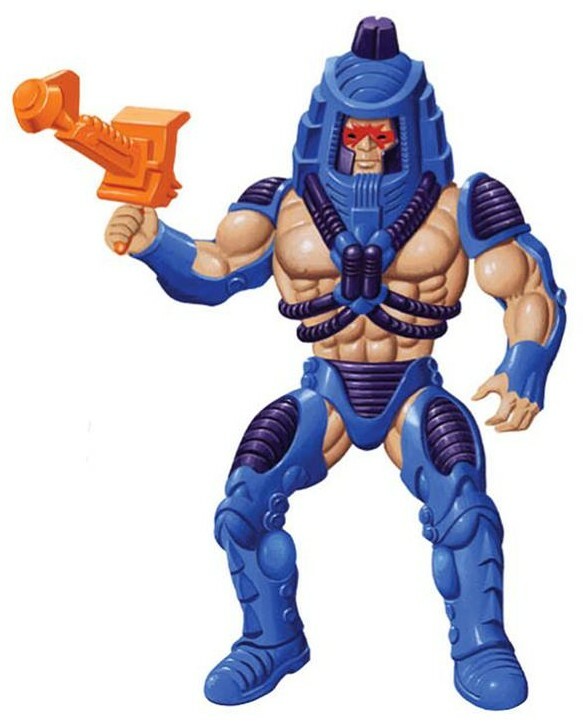 The fact that he carries a laser blaster is interesting too, as relatively few figures carried guns, especially early on, and I can remember an ancient He-Man newsgroup in the late 1990s, discussing if character’s carrying a gun could be decoded as some sort of hierarchy status somehow. 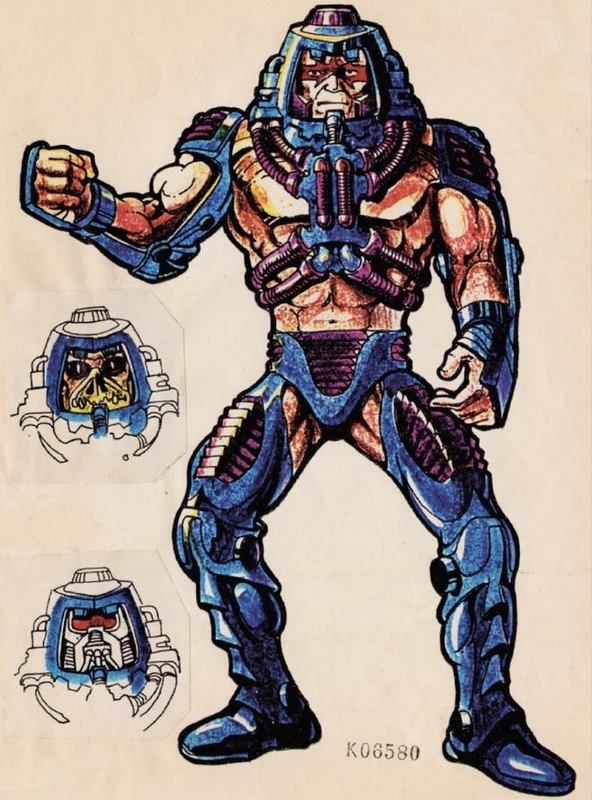 I think I’ve always liked to imagine Man-E as some sort of space trouble shooter; compare this to the very space-based Zodac (despite his background being all over the place) who also carries a laser gun and at once staged seemed to be pegged up as an intergalactic bounty hunter. Maybe there’s some sort of theme there, if you choose to buy into it. 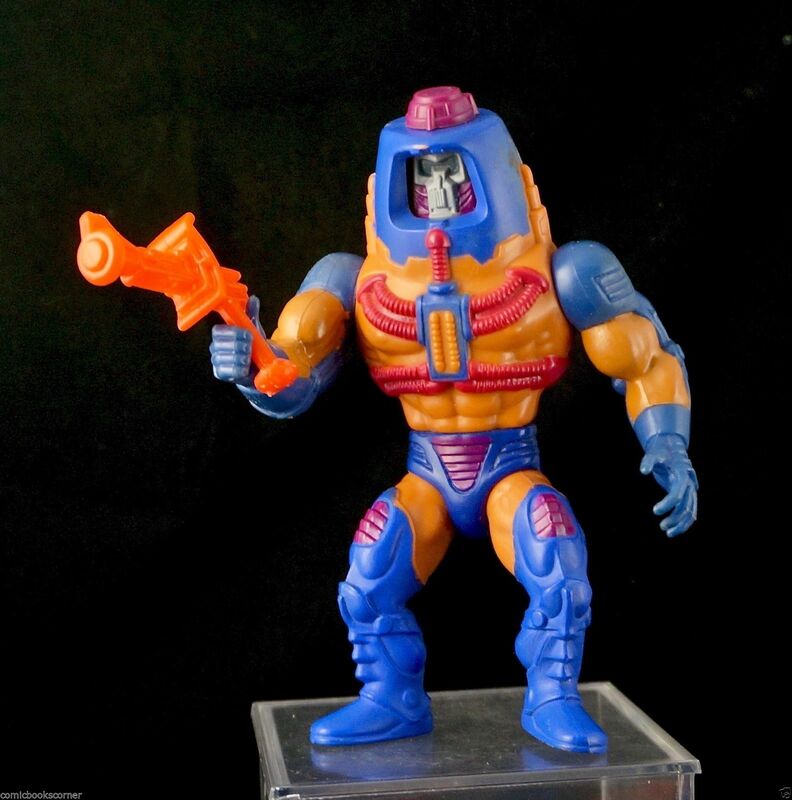 Also of great interest (and on a similar note) is the Outer Space Men toyline’s Metamorpho the Man from Alpha Centauri, for the unreleased second series of figures. 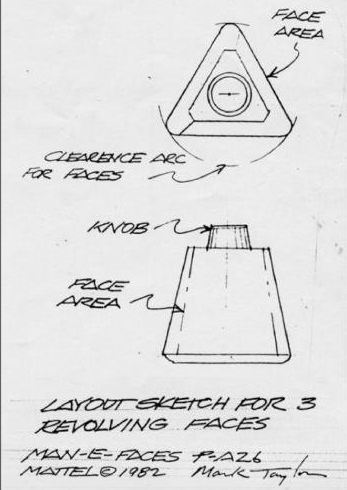 This unreleased figure to the 1968 set, had exactly the same dial-on-head-face-turning feature as Man-E-Faces. His bio tells him of wandering the universe, with the ability to transform his appearance (or at least, his face!!) to blend in on planets he visits. However he has changed his appearance so many times that he has forgotten what his original actually looked like. 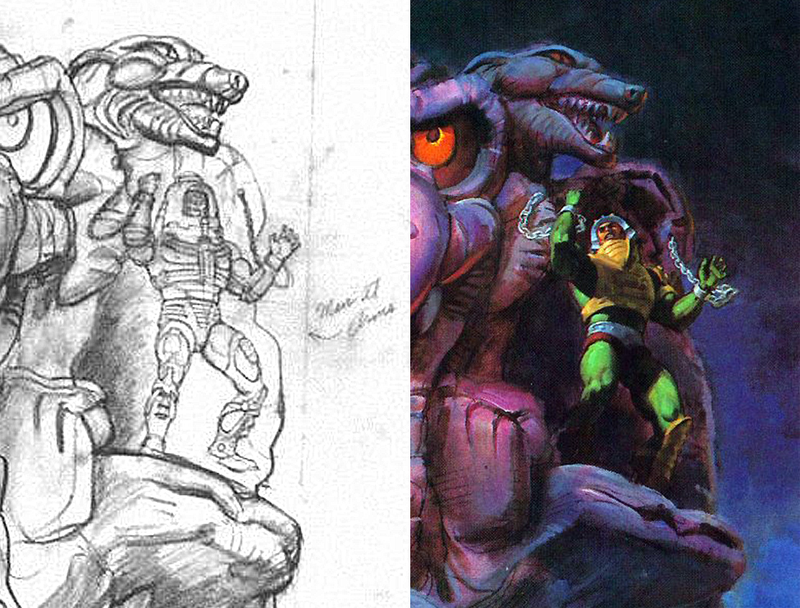 (40-odd years later, The Four Horsemen sculpted an all-new revival of TOSM line, complete with a version of the previously-unproduced Metamorpho). 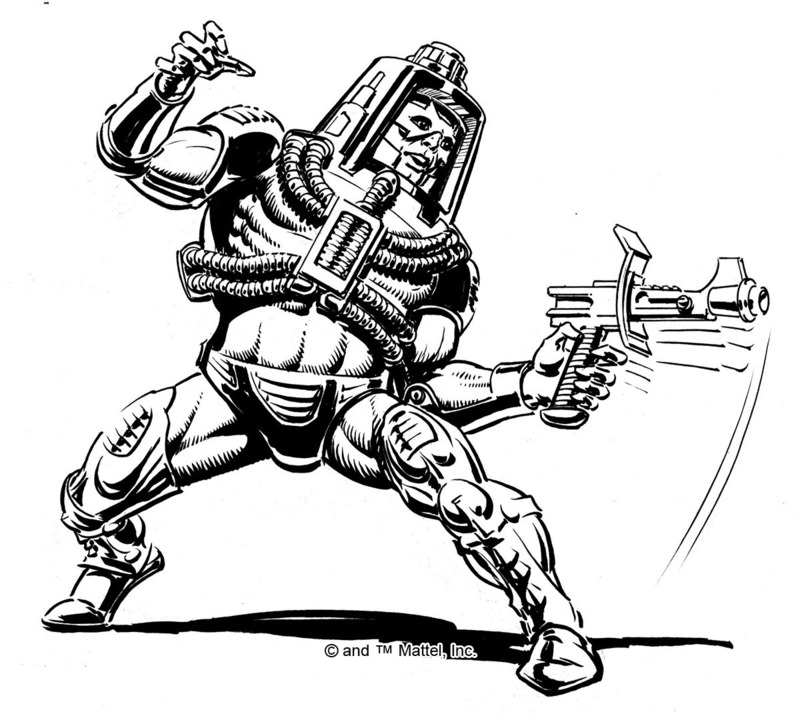 Also of great love for me is ‘The Ordeal of Man-E-Faces!’ mini-comic, again one of my all-time favourites from the line. I love it’s dark edge, being one of the darkest of all of the mini-comics. 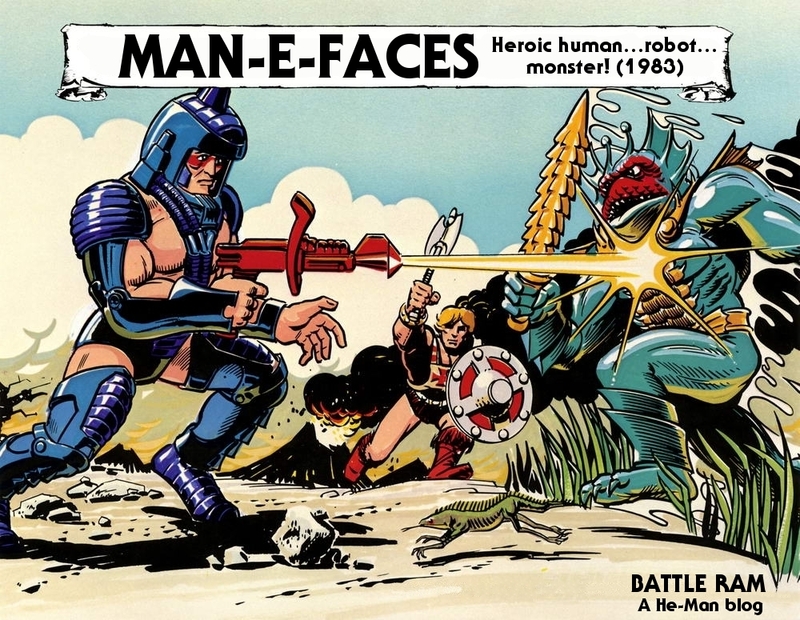 As a result, I never much liked the Filmation episode “The Mystery of Man-E-Faces” as it gave such a radically different origin story, and didn’t even explain Man-E-Faces face-changing ability in the first place! 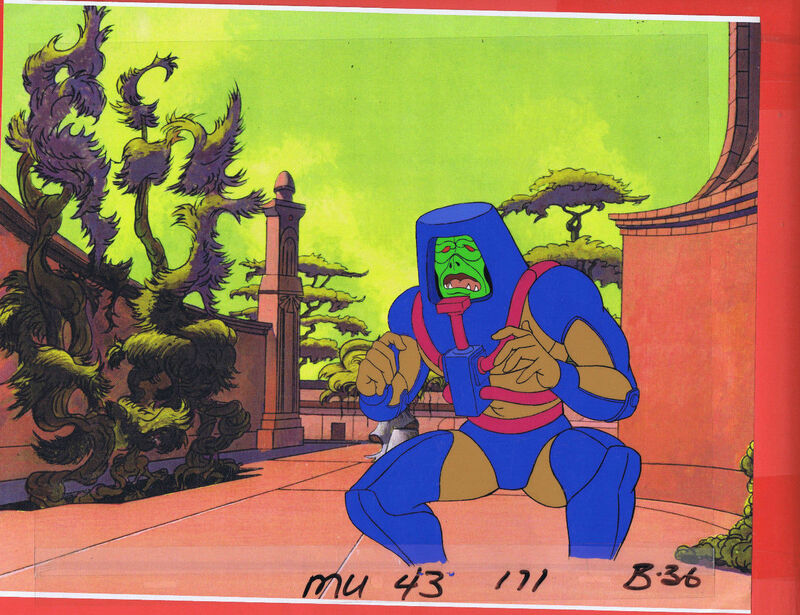 It was cool to see the rarely-used Man-E in the series, but even today whilst not one of Filmation’s BAD episodes, it’s an episode I have trouble really warming to. 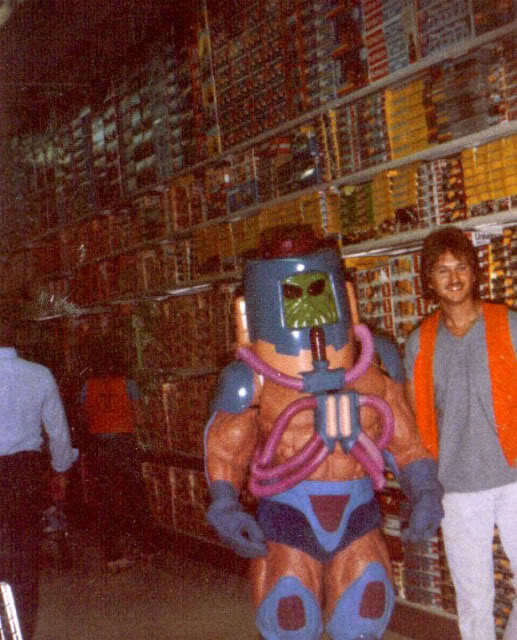 Oddly I never considered my Man-E “orange”, just with very bronzed Caucasian skin. 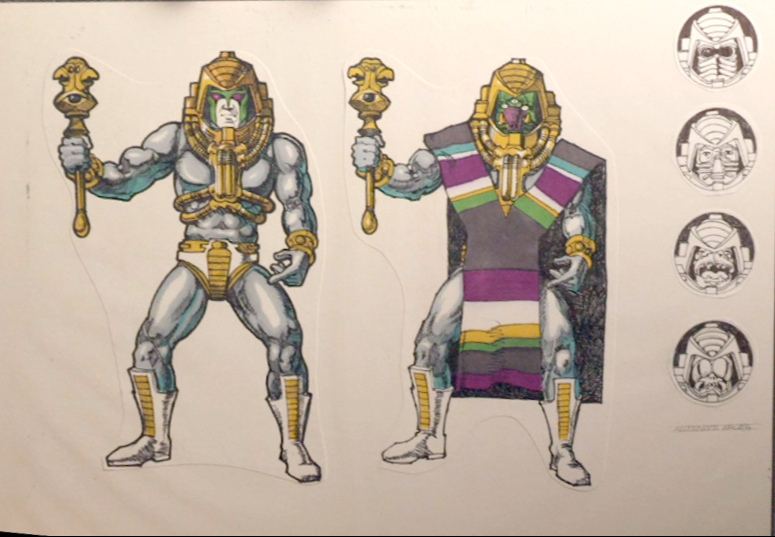 However in my collecting years I have seen the colour of the hoses on his costume vary a lot from deep purple to pink to a much bolder red; and the purple detailing on his arms and legs also can be found in various hues. Sadly my extra collections are long gone to show these examples, now I just have my beloved original. 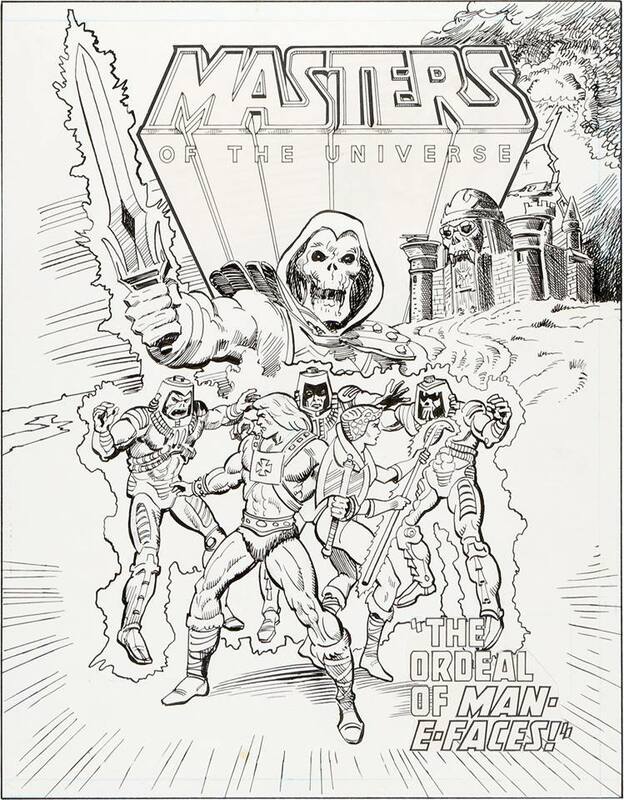 (By the way, in the artwork for the Skeletor/Panthor/Man-E-Faces artwork, it’s interesting that on the final printed copy there is an extra moon in the sky. I’ve sat and studied it close as I can but wonder if this was the only difference or if the final production version was touched up in other ways too). 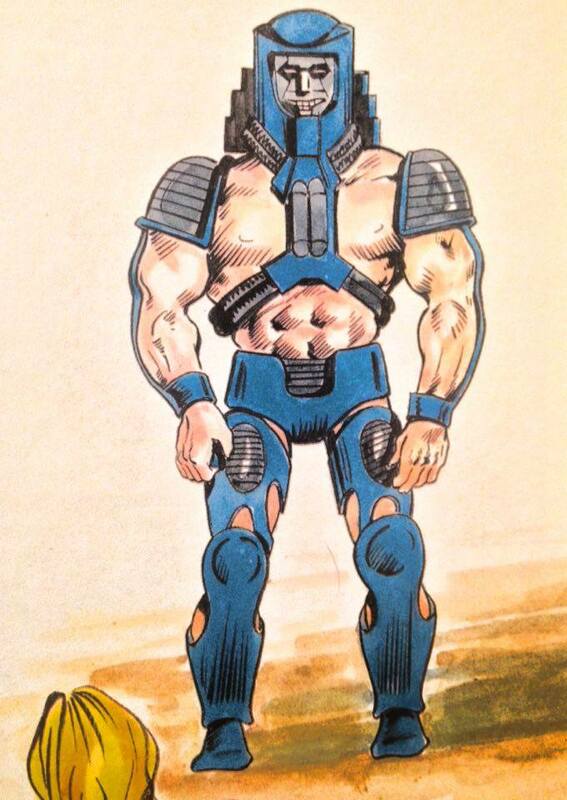 …Just one OTHER point on Man-E (yes I have so many points to make on so many characters! 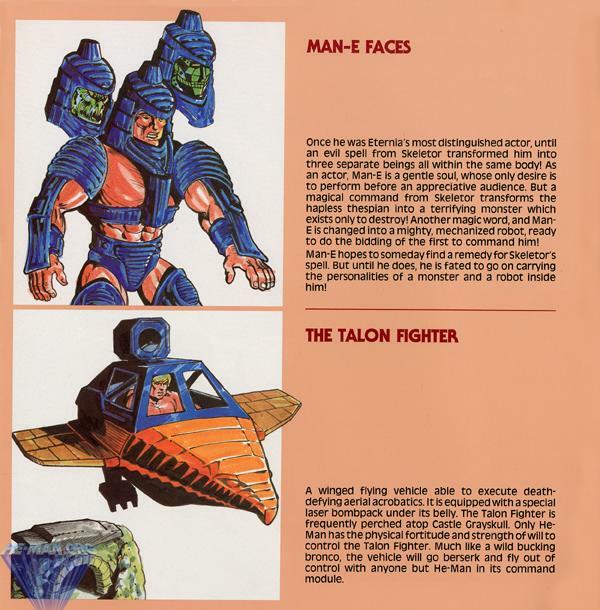 ), interestingly in the UK Marvel comics, Man-E-Faces was shown to be able to FLY! This wasn’t just a one-off misunderstanding of a character (which would sometimes happen with various characters) either, but was, IIRC, shown to be an ability on several occasions! Great comments as always, PJ. A pleasure to read!